Insurers don’t always pay out! Lupton Fawcett Denison Till, the Leeds, Sheffield and York-based commercial law firm, has successfully defeated a £7.5 million solicitor’s professional negligence claim. A three week trial had been arranged for June at the High Court in London, but intensive investigations have led to the claim being routed. The claim was brought by Merseyside based director John Costello and his family company Belfields Limited regarding a 5.5 acre development site that they owned. 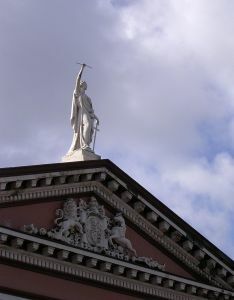 They complained that their planning disputes with the local authority and court cases including Judicial Review, Appeals to the Court of Appeal and Adjudication had been mishandled over five years by their solicitors Glassbrooks. A vast number of allegations were made. Belfields Limited eventually received £1.25 million compensation from the local authority for the compulsory purchase of the land. However, they argued that they should have received much more. Belfields tried to blame their solicitors and took action against both Nick Glassbrook in person and Glassbrooks Limited for alleged loss of profit. “I often act in high value claims against professionals for negligence, and on the other side of the fence for professionals and their insurers. Having that perspective from both sides helps decide how best to deal with an especially heavy case like this and I am pleased that we were able to see off this claim, and avoid the extra costs and time of a long trial”. Posted on May 19, 2014 May 22, 2014 by J Paul Sykes	This entry was posted in Litigation, Professional Negligence and tagged Commercial Litigation, development land, dispute management, insurer, mediation, Planning dispute, trial. Bookmark the permalink.